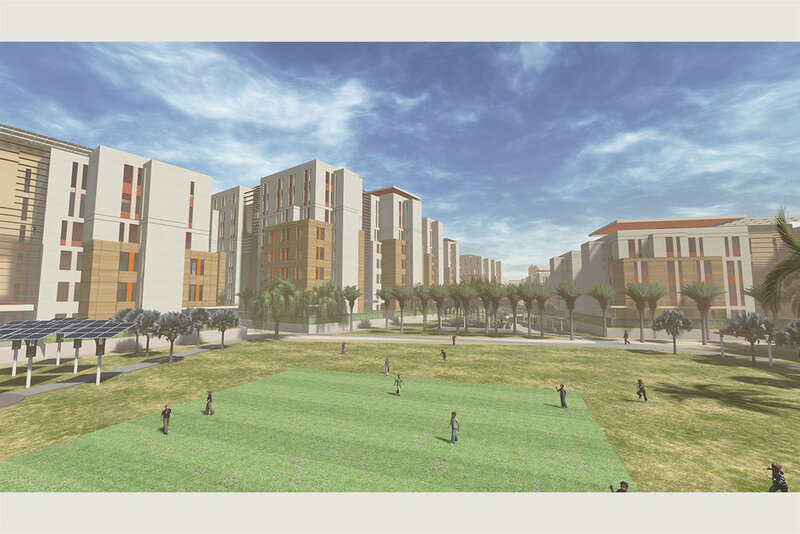 RIYADH, KSA Master plan and overall design concept for the extension of the existing residential compound at the King Abdul Aziz City for Science and Technology Campus. The master plan extends across three separate plots with a total site area of 163,420 m2 and includes 320 three bedroom apartments. With SAK Consultants.